"Stacey, You came into my life when it was in shambles and gracefully helped me pick up the pieces of myself that I didn’t have the strength to carry on my own. I was on a dark and lonely one-way street and you were the light that illuminated the endless roads surrounding me. You let me choose my own paths and remained patient even when I chose the wrong ones. You’ve spoken truths that not even god has revealed to me, but then again, aren’t we supposed to see the god in others? I can’t help but think you’re one of many angels that has been sent to help guide me through life. You found an occupation that integrates the fundamental parts of who you are and although it’s your job, it’s also your gift to heal. Your healing powers have helped you endure every struggle that has shaped you into this brave woman who is able to share her story with others. I’ve grown to feel an admirable respect for the woman you are and everything you’ve been through. Every word you tell me is held in a sacred place so close to my heart. I have three role models in my life and you’re on that list. You taught me where my happiness lies, you taught me to embrace my inner beauty, you planted seeds in my soul for endless rebirth and revival. You showed me a woman in myself that I couldn’t help but fall in love with regardless of, or maybe even because of, my mistakes and my flaws. You challenged me to dig deeper into the parts of myself that I would have been too stubborn to look for otherwise and discover the roots that both shaped me and held me back. Then I learned how to cut them free and make something beautiful out of what was left. If it wasn’t clear by now, this is a letter of my undying gratitude for you and everything you’ve brought to my life. “Thank yous” are too cliché and quite frankly, hardly suffice for me, but I promise to give you the ultimate thanks by letting your words and guidance live out in me for the rest of my life." "Omnasztra carries the aura of young energy and an old soul. Irreverantly reverent. I love working with her and would recommend her to anyone." "As a healer/reader myself I can say its difficult to find someone trustworthy and genuinely does their work with compassion and is properly skilled, she's had extensive training and holds true talent! If you're looking for top shelf, go see Stacey 😉 !" "I was in a tremendous amount of pain tonight and had taken several different meds to cope. My dear friend, mentor, and healer, Stacey Osder healed me and even the meds were burned off! I am in zero pain and am now wide awake, instead of drugged. I am sooooo incredibly grateful! I highly recommend her for healing!!!!" Very good reading. Angelic and a very positive reader with good details. I would recommend Omnasztra! I was so worried about my son. Thanks for saying about my son will marry Sarah the blond – you were right – they married last weekend! "I had a reading last week and I really enjoyed it. I am going through a rough transition and she was so so compassionate and understanding. She shed light on why all this is happening. She is very good at picking up on thoughts and feelings ……. What a great reader. Thanks so much! You are such a beautiful angel! Thank you for your dedication and commitment to helping others. The world needs more people like you. This is the SWEETEST woman ever… you can tell that she genuinely cares about her clients. I definitely recommend her to anyone who wants to see a light at the end of the tunnel to any hardship they are facing, and her reading was accurate. Everything she said about how my situation would end up actually happened the way she said it would. I just wanted to say how awesome you are and how much I enjoyed our interaction. Hope to talk to you again soon! My energy session with Stacey was amazing. She helped me to realize many things about myself and my life that I wouldn't have known otherwise, and she intuitively gathered the information I needed in order to move into my highest good. 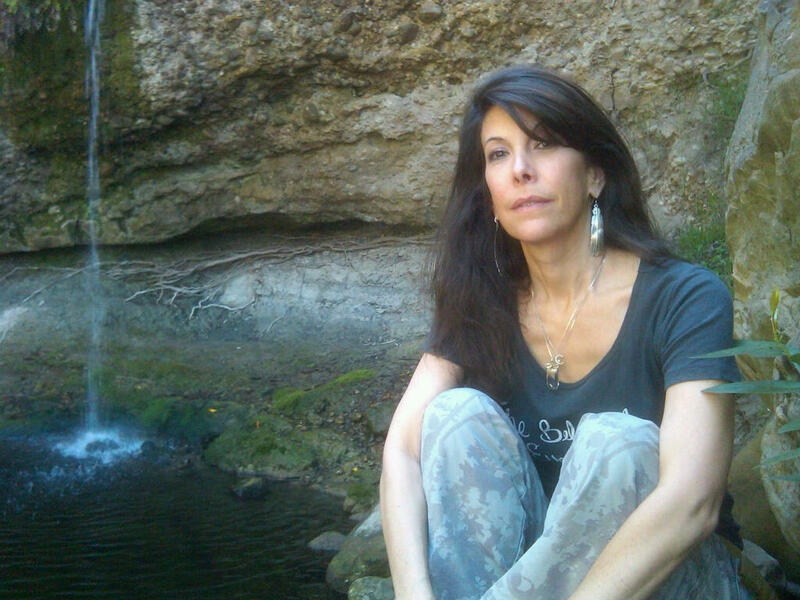 Stacey is very supportive, and her healing work is extraordinary. Stacey was amazing. After I invited her into my space, she looked around and started making suggestions, then started moving things. My small studio apartment took on a new dimension. She moved things around for me and it changed the whole atmosphere and energy flow. Simple things, yet when she moved them, they took on a deeper meaning. A chime was moved by the window, my dream catcher moved closer to my bed, and my apartment felt more like home than it had before Stacey was there. She did not change specific objects, but she took what I had and enhanced it by placing it where it needed to be. Her interventions helped enhance my living experience!! Thank you, Thank you, Thank you!! Thank you so much for blessing our home last evening. It feels so much more peaceful and tranquil. And it was good having you re-enforce our beliefs in our medicine and its strength. I sometimes forget that. Thanks again. Your eyes become deep pools of pure knowledge, all knowing. (The words came to me while driving). I had a powerful healing experience with Stacey. I had the gout in my right big toe. I called Stacey on the phone and as she was sending me healing energy I could see and feel my toe vibrating. After a few days the pain and swelling in my big toe was gone and it had also completely realigned itself. The pain has not come back for a year and a half. Knowing Stacey has been a transformational experience and has filled my life with love and laughter. I highly recommend you experience the healing powers of Stacey for yourself. Stacey's insight and healings have been a tremendous help to me in my life. During some of my darkest hours, she was a great beacon of light. Her insight is thoughtful and accurate. Just to be in her presence and to hear her soothing words is a healing in itself. Her wisdom can awaken much light from within. I would recommend Stacey to anyone who is in need of a healingor someone who wants to walk further along their spiritual path. She's not only a great healer, but a life saver as well. Stacey is a very gifted healer. Recommended highly, I sought out her service during a very difficult emotional time in my life. Even though I live over 2500 miles away from her, we conducted healing sessions by telephone. When I came down to Los Angeles, I also had an in-person session. Near or far, I found the healings equally effective. Stacey has such a beautiful energy - gentle yet powerful in effect. I always feel very light after her healings and clear. Stacey is an extraordinarily gifted healer, and she's funny too. In my health issue, Stacey helped me cope with a situation in which the doctors had different opinions (some said brain cancer, some said a cystic tumor). She suggested that I write in my journal every day, which has helped spool off some of the emotions that were causing the grief. She worked with her spirits to heal the growth (and it decreased). She also encouraged me to get the tests and meet with the doctors and face what they had to say. The process made me grow and change some of my routine to keep healthy. I am glad our paths connected. Dear Stacey... My first session with you, although already quite sometime ago, continues to impact my life. There were many benefits from that session, but the single thing that stands out in my mind was the revelation that I held a deep seated belief that I would somehow betray my mother if I succeeded beyond the scope of what she achieved. Thank you for helping me uncover this barrier and even more, thank you for helping me heal it. As I move forward, I feel that my mother is cheering me on! And to think...I went to you because I thought I needed physical healing! Bless you for your skill, intuition, clarity, and all the levels of Divine assistance you bring to your healing work. Hi Stacey, I am happy you blessed my condo and helped me with my back pain. Recently I was concerned about my heart and you advised me to take some natural supplements and did not see any problem with the heart, the cardiologist mentioned the same. Stacey has advised me on very serious personal issues with incredibly good results. She gave me direction that no one else bothered to. Not only did she give advice she gave me exact information regarding resolving my issues on my terms and allowing my own wisdom and intuition to be honored. I found her to be an extremely sympathetic yet empowering person to know and would refer anyone to her without reservation. Stacey's work has been extremely helpful to me throughout my years of knowing her. Her words are thoughtful, compassionate, and very insightful. You know you are working with the best after a session with her. She is a true professional. I recommend Stacey to anyone in need of healing or who wants to begin their life journey. She's a great healer and a real friend. I have had the pleasure of using Omnasztra's services on several occasions. Each experience has been an enlightening one, helping me to gain insights about myself. Her work has helped me to live a healthier life and for this I am truly grateful! After being injured at work, I experienced extreme pain in my neck. Nothing helped it. Pills, acupuncture – nothing helped – it would reduce the pain but the pain would always return, and reach an excruciating level that nothing could ease. After Stacey did a healing on that area, and the severe pain – it went away and has never come back! Stacey has a plethora of gifts. Her healing abilities are amazing. I have had the pleasure of watching her work and the results have been miraculous. She has helped further me on my path to greater awareness as well as helped me to heal some of my own ailments. She has a knack for pinpointing the exact origin of a problem and through her unique mix of psychic and healing abilities, she is able to help others find peace and wellness. Stacey’s dynamic and passionate persona also makes her an incredible individual in the healing profession. I highly recommend her to anyone who is searching for healing and enlightenment. Having worked in the metaphysical field for a few years, I had experienced the work of different energy healers and practitioners. As a result, when I scheduled my first session with Stacey, I felt that I had an idea or concept of what to expect: well, let me simply say that nothing happened the way I had anticipated. Stacey’s pure and earthy energy was an utterly new experience for me and the session was beyond anything I had ever experienced, beyond anything I had ever thought, and just beyond words. Her accuracy and ability in identifying my problems and the source of my pain blew my mind, and at that particular moment I realized I was facing someone extremely gifted and powerful. The session was intense but the outcome tremendously rewarding on a spiritual, emotional and also philosophical level, because indeed Stacey has also been gifted with authentic wisdom. Since then, I have never wanted to try another practitioner no matter how wonderful they may sound or be. To me, what I went through with Stacey will forever be the most amazing healing experience and this fact in combination with her bright, gentle and powerful energy have convinced me that I have forever found the right healer. I highly recommend her powerful gifts and help as I am certain that anyone will find her and her work just as amazing as I do. Much love and many thanks. On my healing path, I have not encountered anyone who possesses Omnasztra's unique gift to invoke energetic healing at the deepest emotional, physical and spiritual levels. In her powerful energetic healing sessions, I have healed past traumas, expanded my spiritual consciousness, gained insight in my daily life, and much more! I am eternally grateful to Stacey's extraordinary service. I talked to Stacey in mid-2007 when I was going through an unsettling time in my personal life. Back then it felt as though my core was unstable and had a general sense of unease in all aspects of my life. My confidence was low, and I felt as though I was struggling in all aspects of my life without finding or getting any satisfactory results. In my phone session with Stacey she gave me valuable tools to help ground myself, and open myself up to positive energies. She gave me personal guidelines and exercises to follow to eliminate negative and unhelpful noise from my life. She also helped me realize the potential source of a constant and nagging sense of fear in my life. To be honest I didn't follow all the advice she gave me and I don't think she even expected that I would, but I almost certainly experienced benefits from what I did implement in my daily routine and life. I do still continue to have some of the old issues these days, but I am much more grounded and a feel much more stable and I find it easier to cope with them with much less stress than I use to have. The information listed on this website is for informational purposes only. - All information provided is to help empower you to make your own decisions and choices, based on your own discernment. - If you have any concerns regarding a medical condition, please speak with your physician first. - None of the services listed on this website are meant to be a substitute for proper medical diagnosis, treatment or care from your physician. - I do not accept responsibility if you choose to treat yourself using any information from this website. - Never give your free will and personal responsibility to anyone else. It is yours. - No intuitive is 100% accurate. - I accept no responsibility for any loss or damages caused as a direct or indirect result of the use or misuse of any information contained on this website.